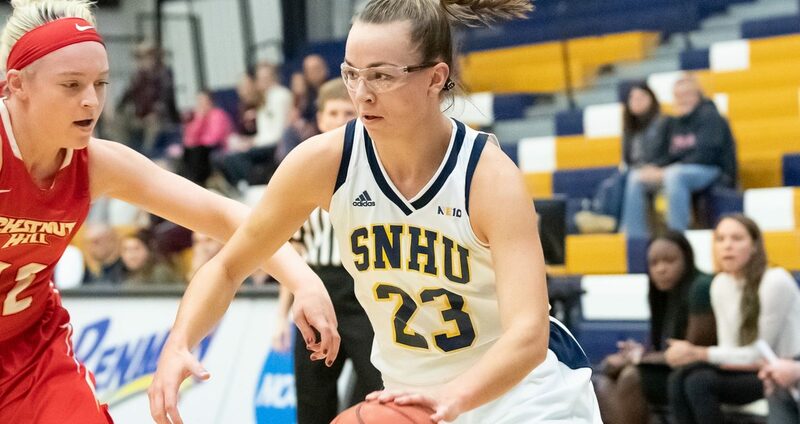 Senior Kylie Lorenzen made history Saturday afternoon when she broke Julie Dabrowski’s 29-year-old scoring record to become Southern New Hampshire University’s (SNHU) Women’s Basketball’s all-time scorer. Lorenzen, who scored 16 points in the first half of Saturday’s tightly contested matchup against Merrimack College, surpassed Dabrowski’s record off a basket during the first half. She went on to score a game-high 29 points, including the game-winning free throw at the 2.1 second mark in overtime. Lorenzen led the Penmen to a 74-73 win over Merrimack, bringing SNHU’s overall record to 16-9. Merrimack’s record, however, drops to 17-8. During the game, Lorenzen went 14 for 26 from the field with 13 rebounds and three assists. She also recorded her tenth double-double of the season and her 34th of her career. Lorenzen also scored 20 plus points for the 13th time this season and the 30th time in her career. Lorenzen’s exceptional performance brought her total number of points to 1,728. It passes Dabrowski’s compilation of 1,713 points from 1986-1990. 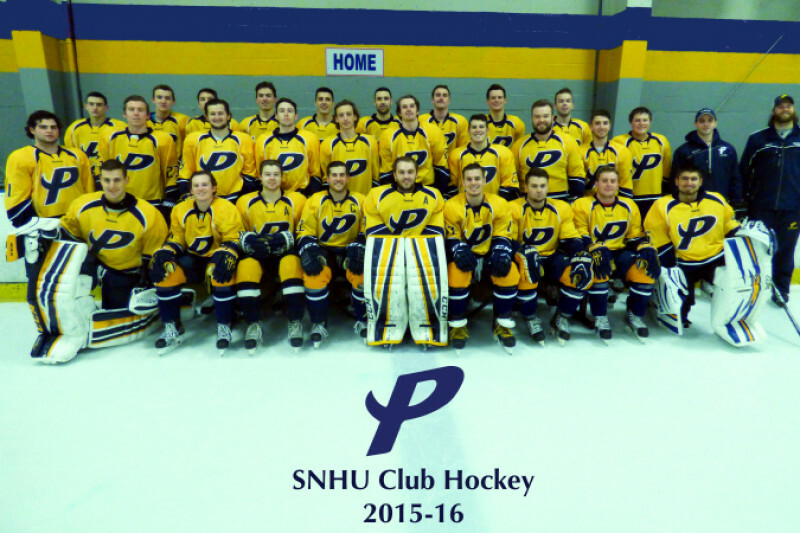 Dabrowski, who was inducted into SNHU’s Athletic Hall of Fame in 1995, had one of the most prolific athletic careers in all of SNHU history. She received the ECAC-North Player of the Year honor in 1990 and was a three-time recipient of SNHU’s Female Athlete of the Year award. She also collected the Francis Pomeroy Naismith Award as the top player in the country under 5-foot-6. During her senior year, she led the Penmen to a 22-8 record and a NECC title. Dabrowski has been observant of Lorenzen’s significant career since her freshman year and recognized she could one day surmount her 29-year-long record. Dabrowski, who resides in Merrimack, NH, attended SNHU’s matchup against Merrimack knowing Lorenzen was closing in on her all-time record. Dabrowski officially passed the torch, or in this case, a basketball, to Lorenzen in honor of her beating her record. The ball, which Dabrowski played with when she broke the school record in 1990, was presented to Lorenzen in a post-game celebration in the women’s basketball locker room. 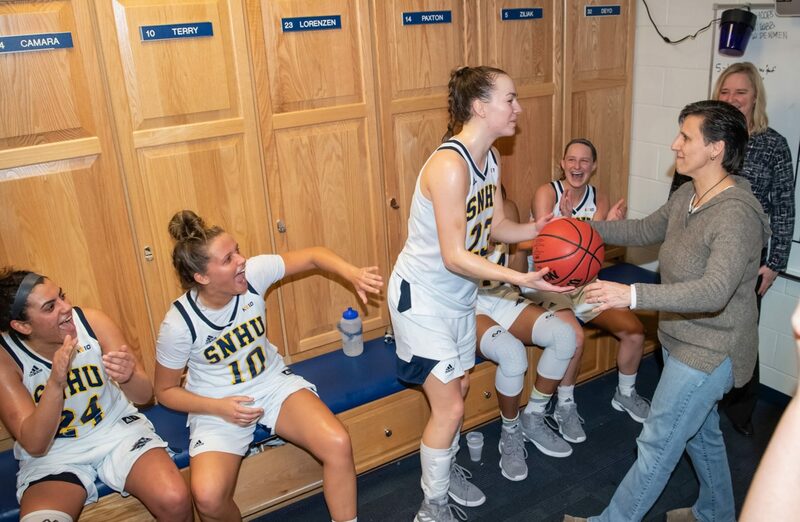 Julie Dabrowski (Right), who previously held the SNHU women’s basketball all-time scoring record, passes the basketball she played with when she broke the record in 1990 to Kylie Lorenzen when she surpassed Dabrowski’s record to become SNHU’s all-time scorer Saturday, February 16 (SNHU Penmen). When talking to reporters shortly after the game, Lorenzen was still processing her achievement. Even in her moment of glory, she stressed the importance of her teammates and getting to this level. Lorenzen will look to add to her scoring totals Wednesday, February 20, at Saint Anselm College. She will also celebrate Senior Night Tuesday, February 26, at the Stan Spirou Fieldhouse against Assumption College in the season closer. 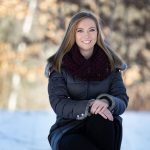 Catherine is a junior at SNHU majoring in communications and minoring in psychology. She is in her first year as Lead Copy Editor for the Press. She previously served as Sports Editor for a year and a half. 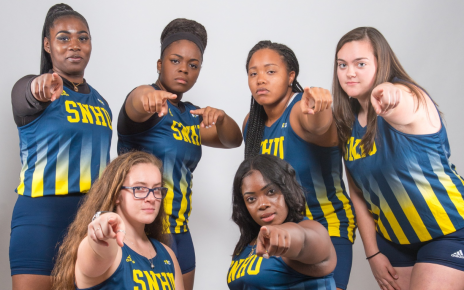 She has a passion for writing and sharing people's stories and loves interacting with the SNHU athletic community. In addition to the Press, Catherine has written professionally for Turley Publications in Palmer, Massachusetts. She is also a tennis coach at Longmeadow Country Club in Longmeadow, Massachusetts during the summer. Catherine is also working on her website, Cat's Writing Blog, where she shares all the stories she has written for press, as well as personal experiences she has gone through. 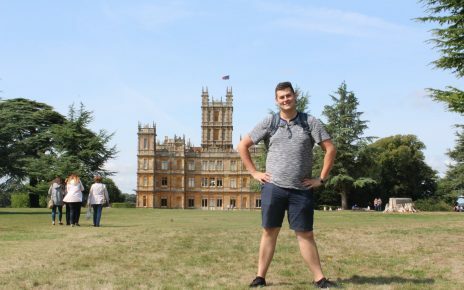 She hopes to receive an internship next year at a journalism or marketing agency.